Memorial services for David Alan Egerdal will be held at 2:00 p.m. Wednesday, September 19, 2018 at Bayview/Freeborn Funeral Home. Rev. Dwight Netzer will officiate. Interment will be at Shady Oak Cemetery. Visitation will be one hour prior to the service on Wednesday. David died Tuesday, September 11, 2018. David Alan Egerdal was born April 25, 1954 in Albert Lea, the son of Marvin J. and Arlene (Chellson) Egerdal. After graduating from Albert Lea High School in 1973 David had a passion for traveling. He enjoyed seeing various parts of the world and working for different companies as a parts sales manager. David was blessed with one daughter, Toni. On April 4, 2004 David was united in marriage to Sharon (Kuiters) Dodge in Albert Lea. Together they made their home in rural Albert Lea. David had a love for nature and had a keen eyesight for things near and far. 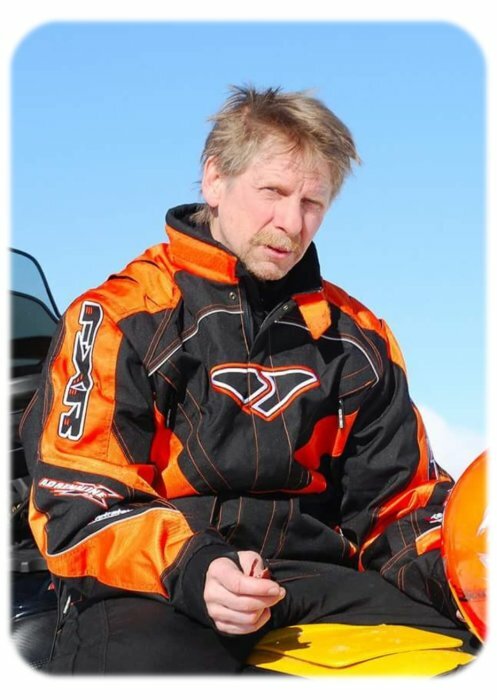 He was an avid sportsman, was a member of the snowmobile club and enjoyed fishing, riding motocross, and snowmobiling. Survivors include his wife, Sharon; daughter, Toni (Darrel) Sorenson; mother, Arlene Egerdal; siblings, Jim Egerdal, Jane Egerdal and Susan (Joel) Bolthouse; many nieces and nephews; and stepchildren, Brian (Jess Naatz) Dodge and their son Axel and Melissa (Shannon) Nelson and their sons Parker and Drew. David was preceded in death by his father, Marvin.